Dr. Charlotte Slopak Goller had suffered from bad vision her whole life. As a child, she found herself constantly needing thicker and thicker glasses. Only in high school did an optometrist correctly diagnose her condition as keratoconus, a disorder that results in progressive thinning of the cornea. Despite her visual challenges, she managed to get a PhD in clinical psychology at the University of Pennsylvania and complete post-graduate analytic training in New York. She had two corneal transplants before moving to Israel 24 years ago. Over the years, her corneas aged and she developed cataracts. 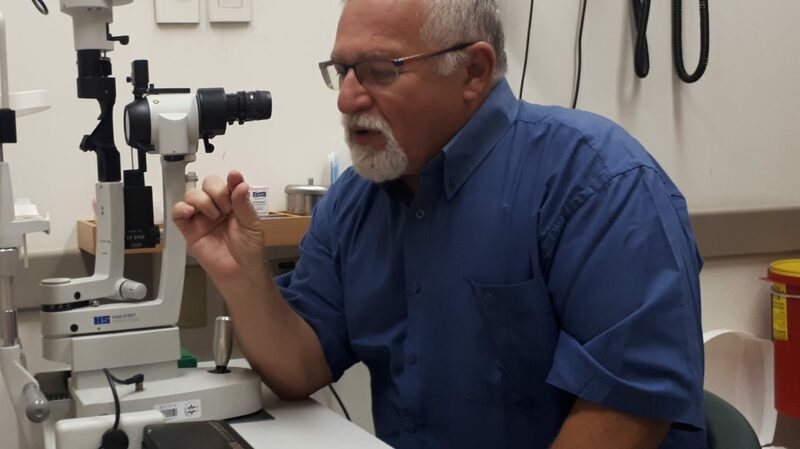 Removing the cataracts without damaging the corneas was a herculean task, but the Hadassah Medical Center’s ophthalmology specialists were up to the challenge. Dr. David Landau, an expert in both cataracts and corneas, agreed to operate, without making any promises. Following the surgery, Dr. Goller, a Hadassah life member and donor, reports that she could see better with glasses than she did as a teenager. When she came to see Dr. Landau for her post-operative visit, the first thing he did was download an app onto her cellphone. He told her to use it to check her vision to be sure it stayed strong.